Your Chamber is here to help! on Biteable. Hello! Welcome to our membership page.... We would like to invite you to browse the drop downs below and learn more about our membership benefits and how we can help you and your business. Please keep in mind that the Chamber of Commerce of Okeechobee County is dedicated to helping every business grow and succeed so when we list benefits please understand that these are not the only things we can offer. Each and every business is different and will have different needs. Please feel free to contact the Chamber or stop in and speak with one of our associates so we can approach your membership with the best possible options for you! The Board of Directors of the Chamber of Commerce of Okeechobee County would like to invite you to partner with us in expanding our growth. Our primary focus is to strengthen and build on our history and tradition in tourism and agriculture, while working to diversify the base of industries and encourage the creation of additional high wage job opportunities. Businesses seeking to relocate or expand in Florida will find a great home in Okeechobee. Based upon the membership level you choose, we offer a web portal, educational seminar rates, discounted tickets to our quarterly luncheons, ribbon cutting and ground breaking ceremonies, marketing tools for your business as well as professional business counseling and much more. You will find included in this packet a list showing the many benefits that the Chamber offers. Please take a few moments to review them. Please rest assured that we are committed to diversifying the economy and increasing the number of high wage job opportunities for Okeechobee residents and obtaining other projects in the community to help strengthen the quality of life and broaden our unique culture. The Chamber works with the Tourist Development Council, Okeechobee Main Street and local government to assist in bringing various events to our community. Requests for suppliers of goods or services received at the Chamber are referred only to Chamber members using the Membership Guide and Directory along with the Chamber's membership database as our resource. Members, visitors, residents and those seeking to relocate most often use the Chamber as their first source of information. As a Chamber member, you now would have the opportunity to network within the community by attending and or sponsoring one of our events. Some of these events would include, quarterly Business Exchange Luncheons, monthly Business After Hours, Rise Up Breakfast and special events that may occur throughout the year. Your participation in these events gives your business more exposure. Please let me know if you have an interest in being a vital part of our events and activities as a "hands on" member of one of our committees, such as our Leadership Okeechobee , Chamber Ambassador, Membership, Business Assistance or Event Planning. 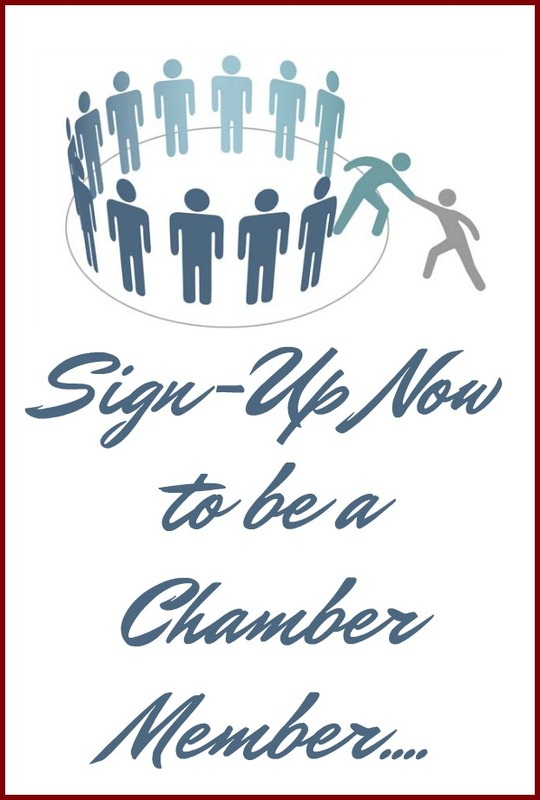 Why become a Chamber Member? The results are in, and the facts show that when a business is active in its local chamber, it is doing the right thing, not only for the community, but for its own success as well. A new national study reveals that membership in a local chamber of commerce can significantly boost a company's image among consumers, as well as other businesses. When consumers know that a small business is a member of the local Chamber they are 63% more likely to patronize the business in the future and 44% more likely to think favorably of the business. When consumers know that a restaurant franchise, for example, is a member of the Chamber of Commerce, they are 50% more likely to eat at the franchise more often. When consumers know that an insurance company, as another example, is a member of the Chamber of Commerce, they are 43% more likely to consider buying insurance from it. When consumers know that an auto manufacturer, as a final example, is a member of the Chamber of Commerce, they are 9% more likely to consider purchasing their next car from that company. Obviously, both small local businesses and larger national companies benefit from the credibility and enhanced image that Chamber membership brings to them. The Ambassadors are a subcommittee of the Chamber of commerce of Okeechobee County, dedicated to giving personal value to the members of the Chamber through public relations, social networking and assisting the Chamber in building and maintaining membership. Several of the benefits you would experience are, recognition as a leader, contributing to community growth and enjoying social interaction with other like-minded volunteers. A campaign that is used to highlight a different business each month with a two minute video sharing your business attributes. Drop your business card off at the Chamber or at any of our events. One business card is chosen each month. Leadership Okeechobee is an exciting program designed to prepare potential leaders to meet the challenges facing Okeechobee. This program is designed to be interactive, not passive, as the challenges and opportunities of the future are addressed in a series of seminar formats. Participants will explore critical issues using activities that will take them to various sites within our community and will give them a deeper knowledge and insight of how to preserve and enhance the quality of life that Okeechobee residents currently enjoy. In today's environment, every size business needs growth and increased profitability. If you want to enhance your presence within our community, the Chamber of Commerce is one of your best resources. Low cost advertising with our 1st rate website will get you in front of prospects every day for an effective return on your investment. For just $1.00 a day, you'll be able to advertise your business to gain additional exposure.